Choose from an assortment of hydraulic cable pulling winches that are available in various sizes and shapes as per requirement. These machines are designed specially to be tough and protective and are maintenance friendly as well. 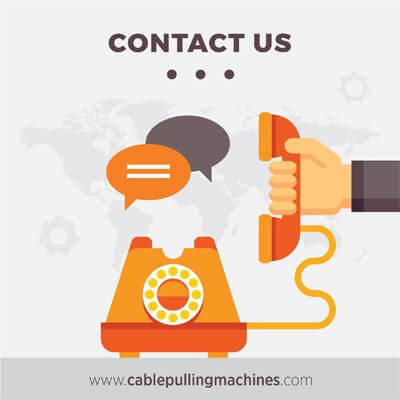 Some of the best cable pulling equipments are crafted with care and supervision by able professionals in unison to create the best. All the products have properly been tried and tested and are an epitome of exceptional workmanship and toughness, for permanent technology and commanding performance. All hydraulic cable pulling winches are manufactured to meet the terms and conditions of the clients. These machines are designed specially to be tough and protective and are maintenance friendly as well. They are also designed in a compact, modern and stylish way with no sound. Our hydraulic cable pulling winches are used all over the globe and are better than any other winch. Hydraulic cable pulling winches are used for cable pulling in underground as well as over head poles, pipe renewal services, cable laying services as well as other industrial purpose. All winches are designed for high pulling force as well as pre selections with automatic hold on pull systems. These are the latest and updated generation of winches that comprise of 100 tones of pulling force as well as cable lengths which go over 1500 mt and it is easy to wind and unwind the cables as well on the huge drum. Since Hydraulic cable pulling winches are powered with the help of hydraulic pressure, it is a little slow and controlled where speed is concerned. This is good in one way as it averts the chances of any kind of mishaps or sudden jerks. It has the capacity to control speed and also control the load in the machine and switches off as soon as speed or load increases. Our Hydraulic cable pulling winches are majorly required in telecommunication work or street lighting, as well as electric supply cable maintenance where reliability is maintained with mobility and low space. Our winches are steadily equipped with measuring and controlling devices, which are found in heavy winches. The pulling force is maneuvered by a recording and a controlling device. 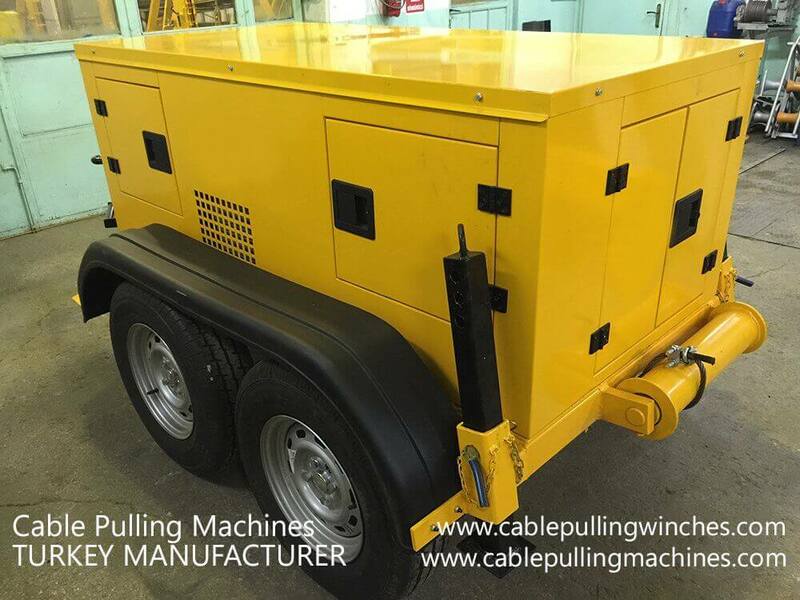 Our Hydraulic cable pulling winches are sound proof and lockable with a good quality plastic housing, they consist of a powerful chassis with overrunning breaks that are supported by wheels and safety hitches. They can also be extendable, and can be mounted on a trailer with steel rims. Our machines can pick up heavy loads as well. Hydraulic cable pulling winches have records of pilling force that helps to control the speed. It has a speed indicator as well as a thermal printer with capstans and storage drum as well.